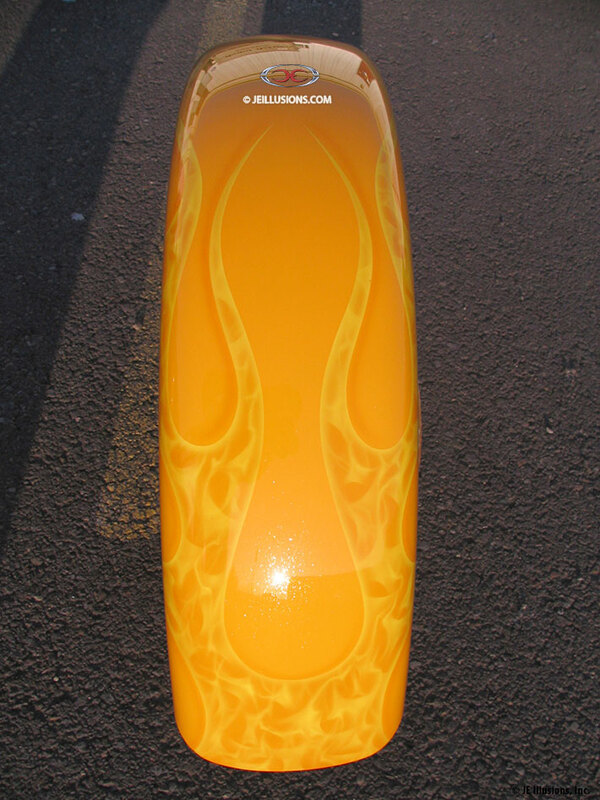 Flurries of airbrushed bright yellow flame effects trapped inside a pinstriped flame design with drop shadow for extra dimension. 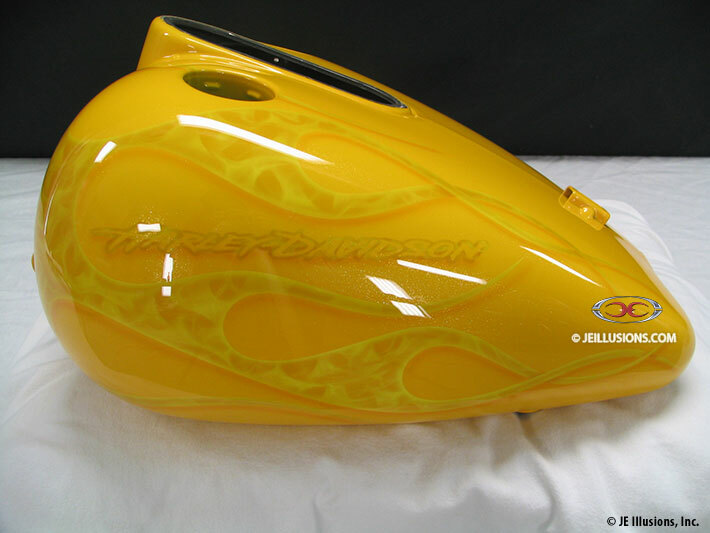 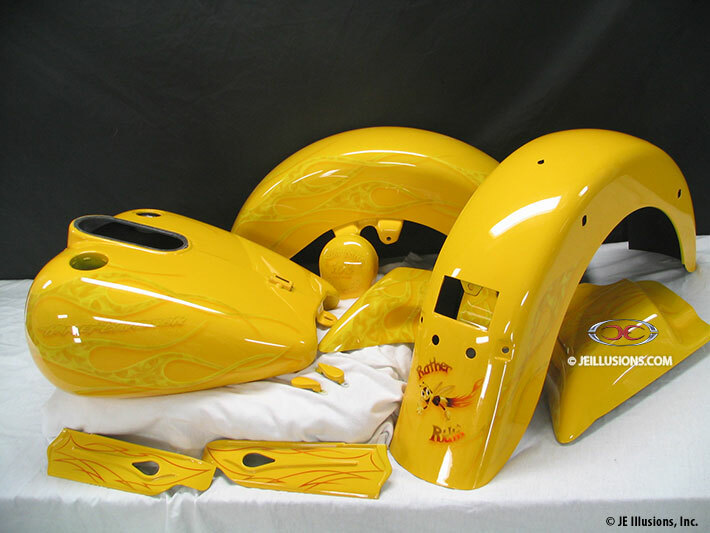 This is all on top of a pearl coated yellow base. 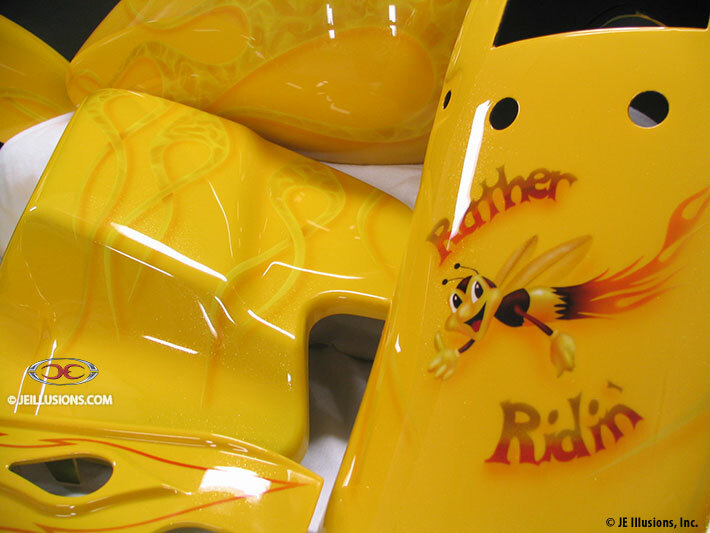 Nice little "Rather Bee Ridin' graphic on back fender tops it all off.